Sparke Helmore Lawyers is a full-service commercial law firm of more than 800 people working from nine offices across Australia. Our expertise spans corporate and commercial to construction, workplace to insurance, intellectual property to initial public offerings, mining to manufacturing, and property to procurement. Sparke Helmore’s IP technology (IPT) team has extensive experience and a proven record in managing large-scale national and international trademark portfolios, conducting litigation to enforce and protect all IPT rights and advising on commercialisation of intellectual property, including drafting licences and other IPT agreements. Sparke Helmore offers a comprehensive range of trademark services to Australian and global companies, including strategic portfolio management, advice on trademark registrability, freedom to operate, advertising clearance, protection and enforcement of brands, customs notification, and business name and domain name registration and protection. Prosecution: our team has extensive experience in prosecuting Australian and international trademark applications to registration, including responding to adverse reports by drafting submissions, acting in and advising on opposition and non-use proceedings, preparing comprehensive evidence in support of a prosecution, and drafting and negotiating coexistence agreements. IPT enforcement and litigation: we represent clients in a wide range of contentious IPT matters before the Australian Federal Court, including for trademark infringement, misleading and deceptive conduct, passing off, infringement of copyright, designs and confidential information. This includes applying for and opposing urgent interlocutory injunctions and appeals from the Australian Trademark Office. IP maintenance database: we use cutting-edge technology to manage our clients’ trademark portfolios. This gives our clients secure, password-protected 24/7 online access to their trademark portfolios and the ability to generate trademark status reports. We are experienced in advising on all aspects of patent disputes. We work closely with patent attorneys to assist in oppositions. We represent our clients in the Federal Court in patent infringement and revocation proceedings (including appeals of Patent Office decisions). We also act where there is parallel litigation overseas, including in European Patent Office, US re-examination and US Federal Trade Commission proceedings. Our lawyers have a wealth of experience in advising on and acting in Australian Federal Court proceedings regarding representations in commerce and misleading and deceptive conduct. We assist clients with advertising clearance and compliance, and advise on the consumer protection provisions of the Competition and Consumer Act 2010 (including the Australian Consumer Law) and compliance with the Privacy Act 1988 and the Spam Act 2003. We work with our clients to develop commercial strategies to protect their trade secrets and know-how, while facilitating valuable product development, research and trialling. We draft non-disclosure agreements and know-how licences. Our team also conducts litigation to protect, prevent, limit or remedy unauthorised disclosure of confidential information, trade secrets and know-how. Our team comprises experienced IPT lawyers, qualified trademark attorneys and former trademark examiners of IP Australia and the Intellectual Property Office of New Zealand. 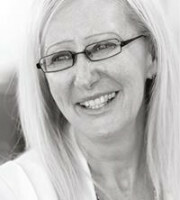 Shannon Platt leads the team and is renowned for her extensive experience in IPT litigation with an international focus. Our clients hail from a diverse range of sectors, including engineering, chemicals, fast-moving consumer goods, creative arts, information technology, apparel, hospitality, leisure and government. The breadth and depth of our expertise and experience mean we provide our clients with commercially relevant, industry-specific solutions. Our broad and insightful understanding of the mechanics of the IP registration process from the perspective of the registry enables us to give strategic brand protection and enforcement advice in a timely and cost-effective manner, both in Australia and internationally.